Senators argued that HHS was refusing to enforce oversight over the children. 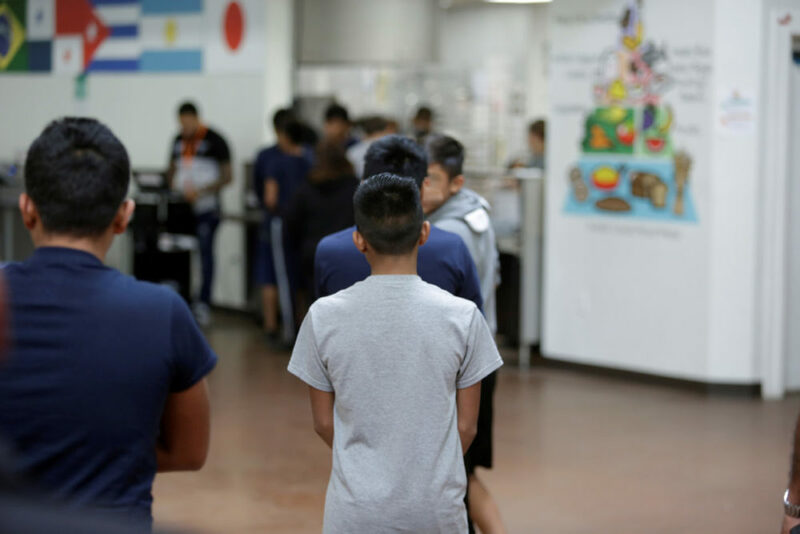 Left: Occupants at Casa Padre, an immigrant shelter for unaccompanied minors, in Brownsville, Texas, are seen in this photo provided by the U.S. Department of Health and Human Services on June 14, 2018. A Department of Health and Human Services official told members of a Senate subcommittee Thursday that his agency, charged with overseeing the care of immigrant children who arrive in the U.S. without parents or legal guardians, is not responsible for ensuring the children’s welfare once they are handed over to the custody of sponsors. Senators on the Homeland Security and Governmental Affairs investigations subcommittee hearing blasted immigration officials, including U.S. Public Health Service Commissioned Corps Commander Jonathan D. White, over what they described as a lack of progress on improving the “unaccompanied alien children” program that shelters unaccompanied migrant youth and places them with sponsors while they await their immigration court proceedings. More than 200,000 unaccompanied migrant children have entered the U.S. since 2012, according to a Senate staff report released Wednesday, often to escape violence and poverty in their home countries. 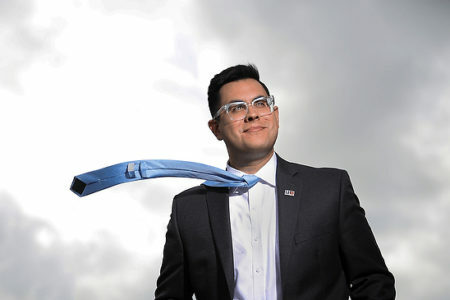 The interagency “UAC” program they are placed into upon arrival is managed by the Department of Homeland Security and the Department of Health and Human Services, and for years, it has been criticized for a lack of oversight that can makes migrant children more vulnerable to human trafficking and abuse. Investigations into the program began in 2015, when members of the Senate Permanent Subcommittee on Investigations first learned about a case in which Health and Human Services failed to properly vet sponsors, putting eight Guatemalan children into the custody of human traffickers who forced them to work 12-hour shifts at an egg farm in Ohio. “We have a serious problem on our hands: these children are at risk of trafficking and abuse,” Sen. Rob Portman, R-Ohio, said at Thursday’s hearing. 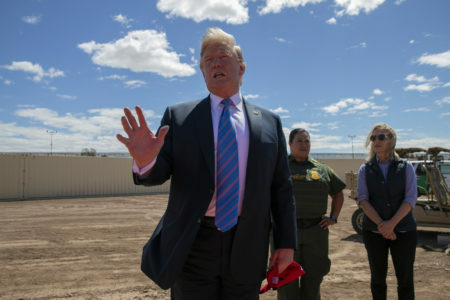 “When these children do not appear for their immigration proceedings they lose their chance to argue for immigration relief, and many remain in this country illegally,” he added. The hearing and the report highlighted many of the program’s shortcomings, emphasizing that despite a number of recommendations offered by the subcommittee over three years, little progress had been made to improve the program and ensure the children’s welfare. It isn’t clear who is legally responsible for the well-being of children once they leave the shelters. 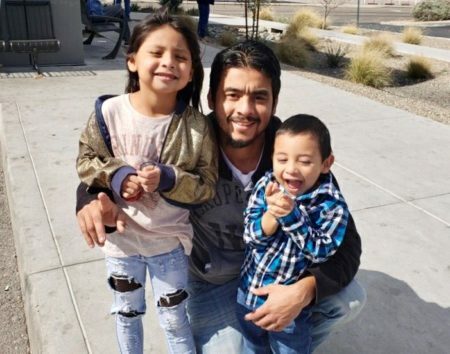 Lawmakers have urged HHS to take responsibility for children even after they have been placed in the custody of sponsors. But at the hearing, White said the agency’s custodial relationship to the children ends as soon as they exit the shelters. “HHS does not presently have the authority to exercise supervision or oversight of children who are not in the physical care and custody of [the Fffice of Refugee Resettlement]. It certainly does not have the appropriations, and I would submit that at present it is not capacitated to do that,” he said. Other HHS officials have recognized that this interpretation of the law places children in what they call “legal no man’s land,” in which no federal agency claims responsibility over ensuring the children are not trafficked or abused. Portman asked White if he would support legislation that clarified the question of responsibility over the children. HHS has insisted the welfare of children once they leave government custody is in the hands of the sponsor, and has deferred any other responsibility to the state and local child welfare authorities that have jurisdiction over where the child lives. But the subcommittee report found that no state or local government entities are notified when a child is released from a shelter or is placed with a sponsor in their communities. HHS said it planned to notify state governments but did not do so because it could not determine whom to notify in the state governments, the report said. 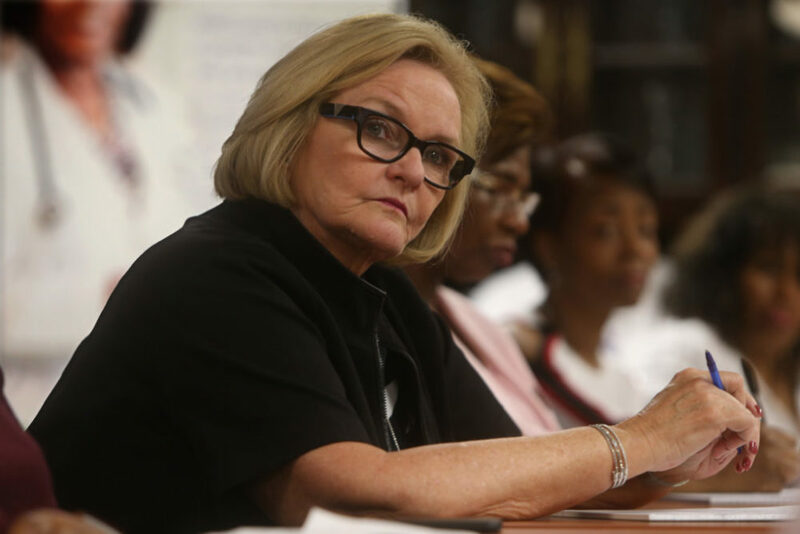 “Are you kidding me?” exclaimed Sen. Claire McCaskill, D-Mo., citing the report’s finding at the hearing. “Every state has a child welfare agency…because you know what the states do? They take the responsibility for having children in their state seriously,” she added. Without being notified, the report says, states are limited in the services they can provide or in ensuring the children are attending public school. Since 2016, all children who have gone through the placement process have received a one-time call from the agency 30 days after their release to verify their safety. But at a hearing in April, Senators learned that the agency had not been able to contact nearly 1,500 children it had tried to reach over a three-month period in 2017. Senators accused the agency of losing the children, but White told the panel some families opted not to take the agency’s calls. “There are no lost children. There are some families that don’t take our call, there’s a big difference,” he said. White said there is no legal requirement for families to answer the agency’s welfare check-up calls. Senators argued again that the agency was refusing to enforce oversight over the children. Senators are concerned U.S. agencies are failing these children, the PBS NewsHour’s Lisa Desjardins reports. Senators pointed out that more than half of unaccompanied children failed to show up at their immigration court hearings, and that these children are likely to remain in the country illegally. Lawyers can help ensure children attend hearings and do not fall off the radar, but HHS is not responsible for ensuring legal representation as children go through immigration proceedings. 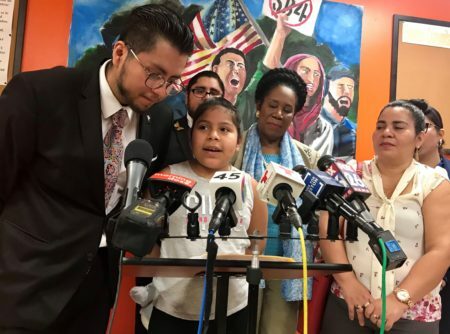 Senators asked the immigration officials for legislative changes that would support their efforts in improving the UAC program and protecting children. HHS and DHS recently submitted a plan that the subcommittee had requested to demarcate each agency’s role and standardize the processing of unaccompanied migrant children. The plan, 17 months overdue, has not yet been cleared for release by the agencies. The PBS NewsHour’s Lisa Desjardins reported for this story.